Bring your tree into this decade by following our tips for giving your tree a refreshing overhaul. You can go monochrome, or you can liven things up with a neon approach. Whatever you choose, we have some interesting and unique ideas for you. Most people are familiar with the citizens of Whoville—the fictional town set in the Dr. Seuss universe that sees The Grinch learning the true meaning of Christmas. If you want abnormally large, colourful Christmas tree ornaments to turn your tree into a ‘Whoville tree,’ create pom pom ornaments that will be fun and vibrant. Be sure to make them oversized to create that Seuss-Christmas look! Who says your tree needs to be green anyway? Replace your current Christmas tree with a bright pink tree and decorate them with bright ornaments in vibrant purples, golds and yellows. Consider adding Christmas lights that feature bright, blinking colours to round out the look. While it’s layer after layer of bright colours that seem completely out of place for Christmas, it can look amazing. If you’re tired of status quo décor, you’ll want to check this style out. 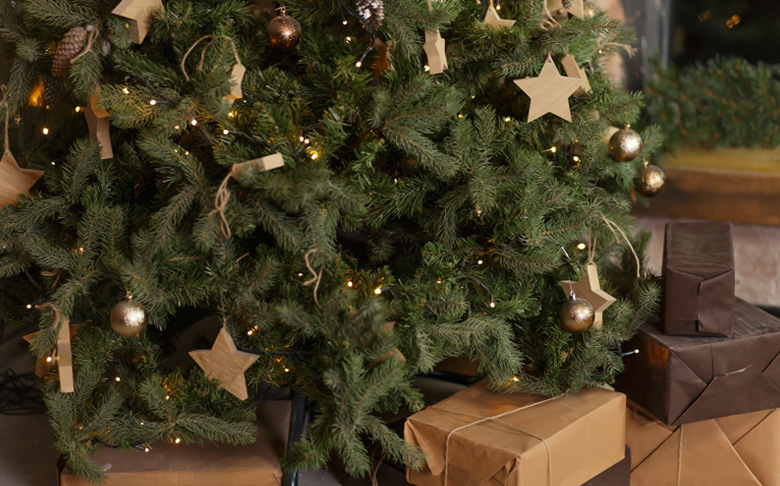 If bright Christmas tree decorating style isn’t your thing, consider a rustic, minimalist tree instead. Forego the lights and gold/silver tinsel and opt to decorate only with ornaments and decorations that give a wooden and textured look. While it looks like a Christmas tree that a carpenter would be proud to call their own, it provides a simple, elegant look that captures the true green beauty of a Christmas tree. When you want your Christmas tree’s focal point to be its natural beauty, this is the style you want to consider. 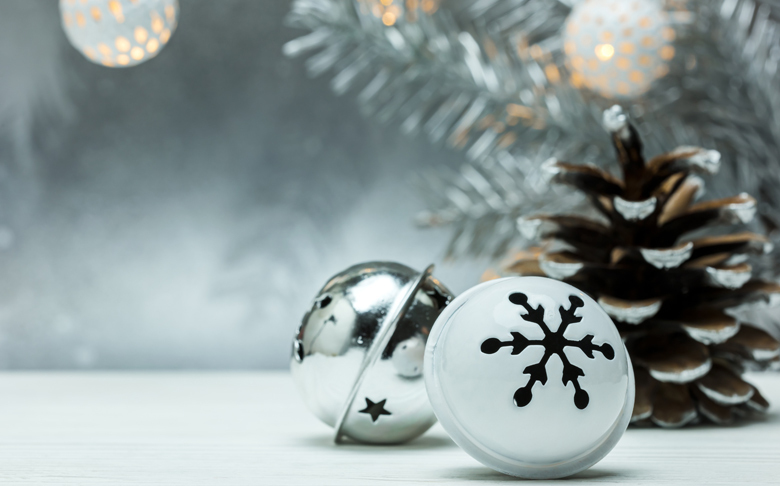 While it’s fun to feature so many popping colours on your Christmas tree, there’s something simple, yet stunning about a monochrome Christmas tree. Black and white ornaments on a traditional green tree gives a look that could be from any home within the last 100 years. Get creative by adding black and white ribbon, a white Christmas tree skirt, and snowy-white ornaments. Want to go a step further? Wrap your gifts with only black and white wrapping paper for a monochrome look that guests will want to capture with their cameras. You’ve probably heard of winter wonderland trees, but this tip goes a lot further. First, sprinkle your tree with snow flock until the tree is mostly white. From there, grace the Christmas tree with red holly, white garland, silver ornaments and other accents. Implement traditional red, green, silver, and gold ornaments while inserting extra evergreen branches (or bare branches if you want to create a wild, winter look) into the tree. Consider sprinkling more snow flock to make the tree look like it came out of a blizzard for a uniquely decorated Christmas tree that brings out the very best of the season.